Corporal William Henry Johnson was born on December 9, 1943 in Union City, Tennesee to Jewell and Johnnye Johnson of Ann Arbor, Michigan. William is a 1961 graduate of Ann Arbor High School. 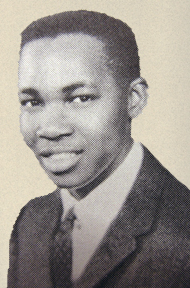 A caption in the Ann Arbor High School Yearbook for 1961 states, "Willie came to Ann Arbor High from Slauson. While at the High School, he participated in all intramural sports. He also likes to swim. His plans for after graduation are not as yet definite. He will either work or join the Army." William enlisted in the Marine Corps in August of 1963 going through Marine Corps Boot Camp at Marine Corps Recruit Depot, San Diego, California. He received further training at Camp Pendleton, California before going to Okinawa. 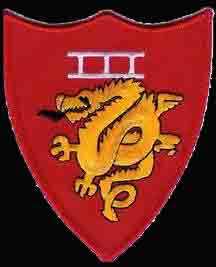 Corporal Johnson began his tour of duty near Danang, Quang Nam Province, South Vietnam serving as a rifleman with E Company, 2nd Battalion, 9th Marines, 3rd Marine Division, III Marine Amphibious Forces. William was killed on April 17, 1966 as a result of small arms fire from a sniper while manning a defensive position. William Henry Johnson is survived by his parents, a sister and a brother. He lived 22 years, 4 months and 8 days. William's name is listed on the Vietnam Memorial in Ypsilanti Township under Ann Arbor. His name also appears on the Vietnam Memorial in Washington, DC on Panel 06E Line 119. Forty years have gone by without you. Rest in peace, brave soldier - you are not forgotten.